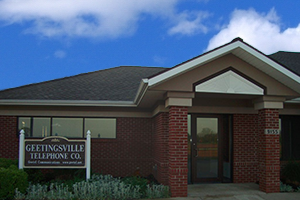 The Geetingsville Telephone Company is the smallest Independent Telephone Company in Indiana. When Geetingsville built its first line in 1901 they were one of approximately 600 Independent Telephone Companies in Indiana, but the number of Independents in Indiana has dewindled to 35. The Geetingsville Telephone Company was first housed in a log cabin that was built in 1859 by James Mink. The log cabin, now a monument, can now be found at the T.P.A. park in Frankfort, Indiana. Geetingsville's first telephone switchboard was in Arthur Richard's grocery store. When the store was closed for the night, so did the telephone service. The Geetingsville Telephone Company was organized under the direction of Dr. J. E. Robison with W. L. Brown as president. Its first line was built in 1901. Rates for the service were $4.00 a year. Started as a co-operative, the company changed to a corporate structure in 1917. In 1947, Geetingsville acquired the Middlefork exchange which had been established in 1903. In 1953, Geetingsville purchased the Beard Telephone Company, which had been established since 1903, and consolidated it with the Geetingsville Telephone Company. In 1954, REA approved the company's request for a loan to rebuild its system and install dial service. 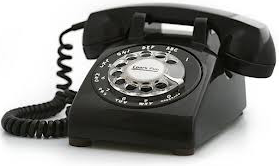 Sunday, December 15, 1954 marked the day when Geetingsville switched over from manual to dial telephones. A further conversion was made in December 1955 to multi-line service. Later the company upgraded to one, two, and four party services and in 1975 to all private lines. Among the names which loom large in the development of the company are those of George Pullen and Rollo Colby. Mr. Colby helped build the first line and set the first terminal pole, cut from native timber. Mr. Pullen was the president of the company for fifteen years. Bessie Koble and Sylvia Godby worked for Frank Thompson as operators when they were young girls. They both returned in later years and worked from time to time until the company changed to dial. Dale Robison worked for many years as a repairman for the company. Dale Patrick was employed by the company in 1948 for service repair, later served as secretary, and was manager from 1955 to 1962. Edna Patrick started with the company in 1948 as an operator and served many years as secretary-treasurer and general manager until her retirement in March 1987. In the summer of 1991, Geetingsville made a giant technological leap when it replaced electronic switches with a digital fiber-optic system. After the installation, Geetingsville caught up with the giants in the telecommunications industry, offering many services to their customers. Geetingsville has 100% of its cable buried under ground. The Geetingsville Telephone Company made another big leap in the fall of 1997. They began to offer internet service to their customers and the surrounding community. Currently, Geetingsville services approximately 300 telephone customers and 1000 internet customers. Colby, President, summed up the continuous technological changes at the Geetingsville Telephone Company, "We are striving to provide quality, up to date service to each individual customer. Even though we are a small independent telephone company, we still monitor the telecommunications industry very closely in search of ways to further advance our systems, in turn, allowing us to provide quality, up to date service to each customer." © Copyright 1997 - 2014. Geetingsville Telephone Company. All rights reserved.